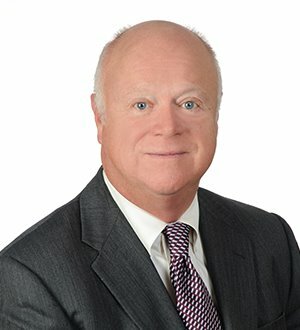 John Allgood has served for more than 20 years as an independent neutral arbitrating cases in commercial, employment, construction and securities law areas. He was a member of the panel of arbitrators, USOC, during the 1996 and 1998 Olympic Games. His practice also includes mediation in the above practice areas as well as real estate and anti-trust matters. John is a Fellow in the College of Commercial Arbitrators. Previously he served as a Fellow in the College of Commercial Arbitrators as well as chair and Executive Board Member of Corporate Counsel Sections of the Georgia and Atlanta Associations. John is active in the State Bar of Georgia and has served as chair and as a member of the executive board of the Corporate Counsel Section. He is a past-vice chair of the Unauthorized Practice of Law Committee for the Georgia Bar. He is also the past president of Research Atlanta. He is a registered neutral in the American Arbitration Association, commercial, construction and sports arbitration panels, FINRA arbitration panel, and on the DeKalb County Dispute Resolution Center panel of neutrals. He is also a member of the Georgia Arbitrators' Forum. John served as Chair of the Atlanta Bar Association Dispute Resolution Board in 2015-2016. He was Co-Chair of the Georgia Bar's ADR Section Seminar in March 2004 sponsored jointly by the Atlanta Bar Association's ADR Section. He has published several papers including "Recent Developments in the Arbitration of Employment Disputes" and "Manifest Disregard of the Law" which was presented at the 10th Annual ADR Institute in 2003. He is an adjunct professor of ADR at the Emory University School of Law. He has participated as a trainer in mediation for the GODR, and is a member of the Georgia Arbitrators Forum. John also served as Adjunct Professor for ADR at Georgia State University Law School 2015. Prior to joining FordHarrison, John was Regional Counsel for Smurfit-Stone Container Corporation and Container Corporation of America. He served as labor counsel for Union Camp Corporation. He was an officer in the U.S. Army serving a tour of duty in Vietnam.John is a regular contributor to the Georgia Alternative Dispute Resolution Blog, giving timely reviews and discussing recent arbitration cases. The blog postings can be viewed at http://georgiaadr.wordpress.com.